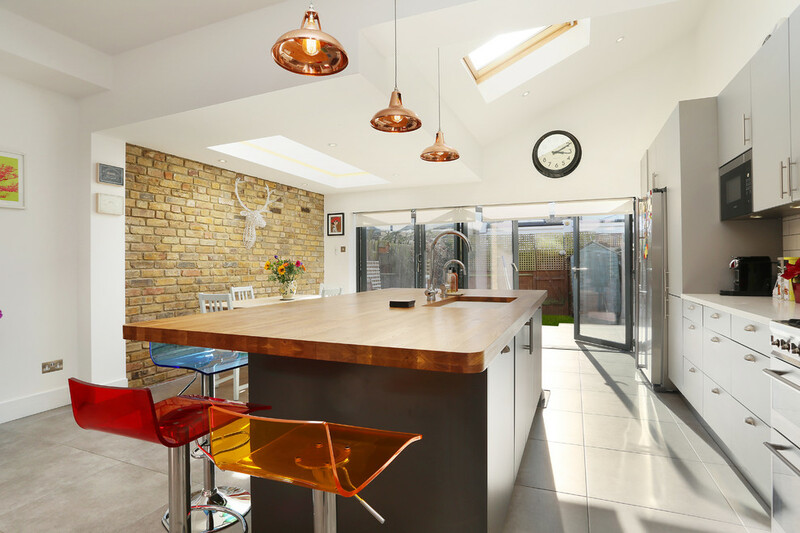 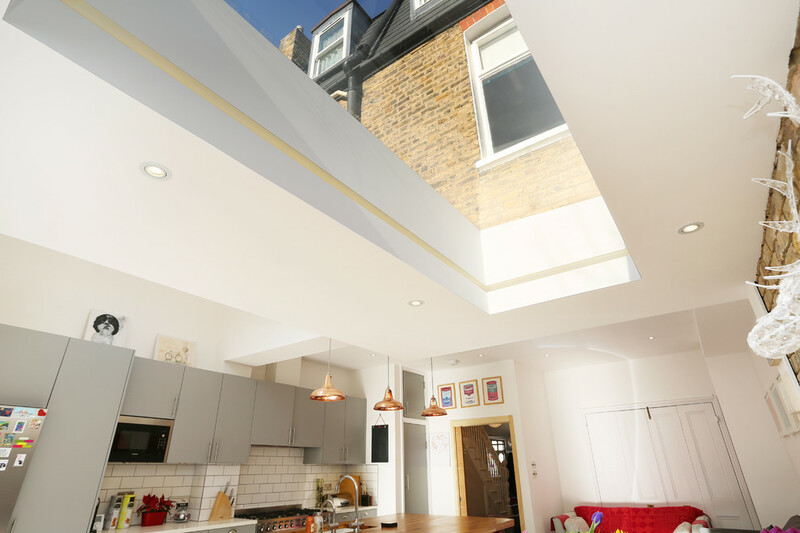 This modern kitchen features our Copper Coolicon Pendants over a central island, bringing warmth to the bright, open plan space. 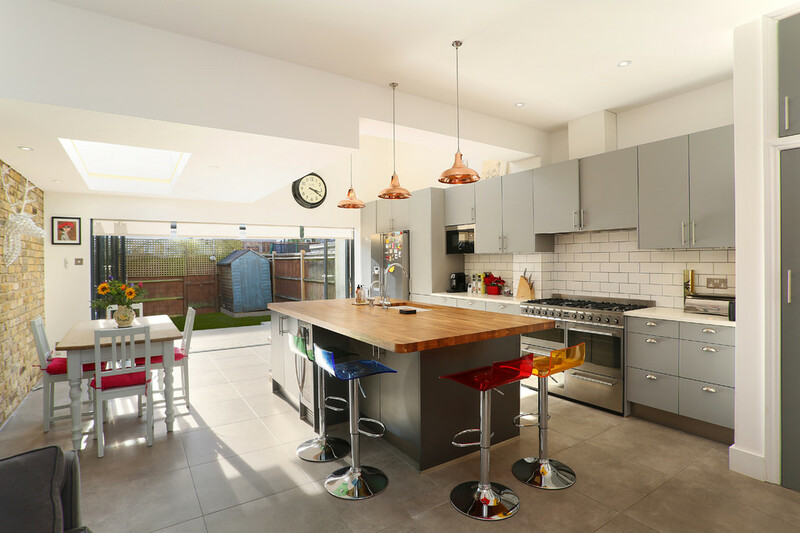 The industrial style of our pendants complements the metro tiled splash back while giving the minimal space some character. 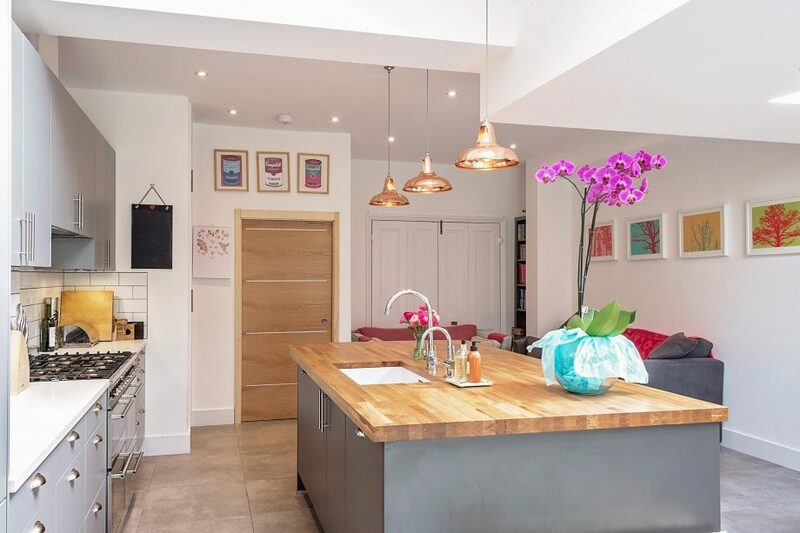 Colourful accessories break up the monochrome look created by flat grey units and the cool stone worktop. 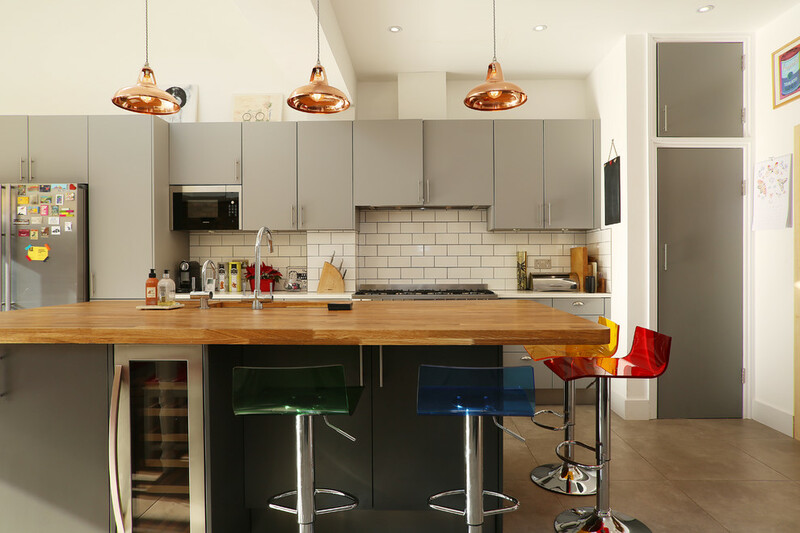 The warm toned wooden island reflects our Copper Pendants, while the colourful stools add a playfulness to the interior. 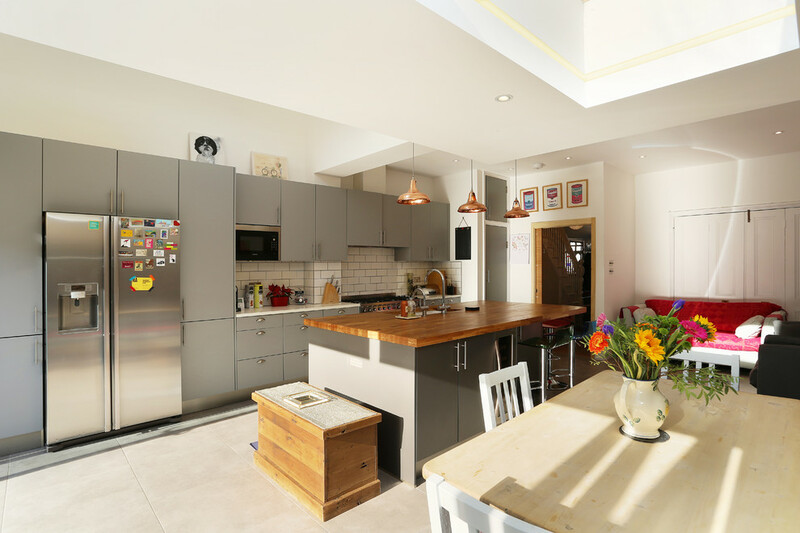 The combination of modernist design and loft style elements creates a unique contemporary kitchen in this London home by Plus Rooms & Braverman Kitchens.